Today's post revolves around the last S or the 3Ses - Savour. 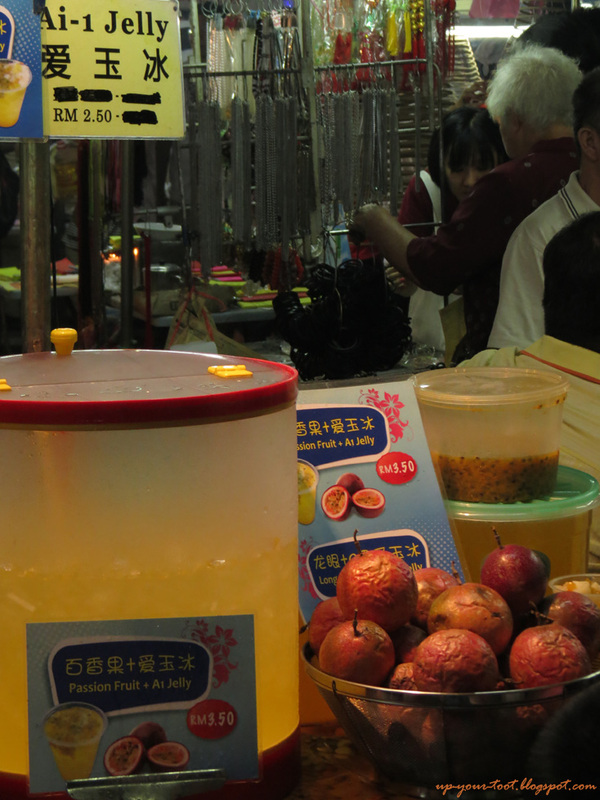 What is there to savour at Ampang Nine Emperor Gods Festival, you may ask? Well plenty. The first thing to savour is the atmosphere created through the devotees that are driven by faith. The zeal and fervour of the faithful gives this temple a carnival-like appeal. Some go into a trance-like state in front of the altar whilst others bring huge offerings as tokens of gratitude. 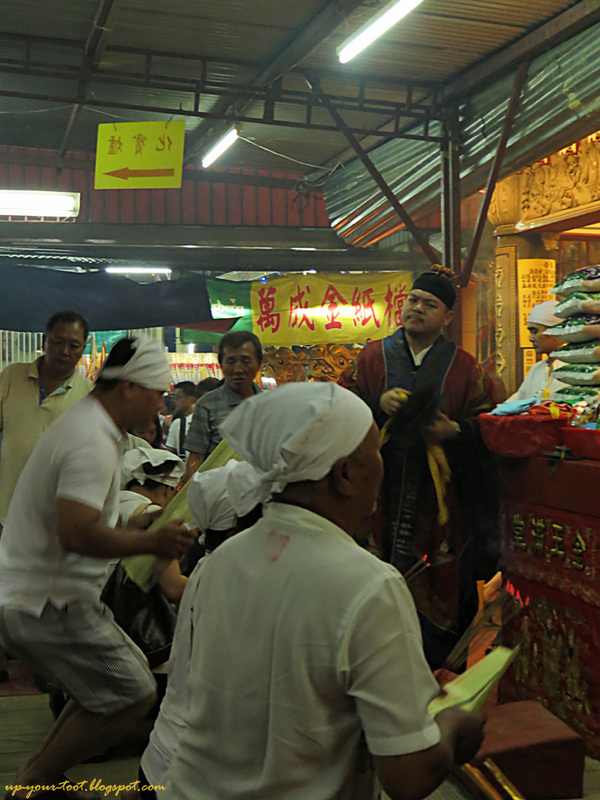 No less are those who give donations that is acknowledged by the ringing of the temple bell and drum. By the power of...Kow Ong Yeh...I have the power! - a devotee touched by the divine during prayers. Assistants: Oh boy, I am gonna be famous! Priest: When will this crazy guy stop taking photos. He must have a million shots of me and the prayers. Next thing that must be savoured, and this can take several visits, is the food. 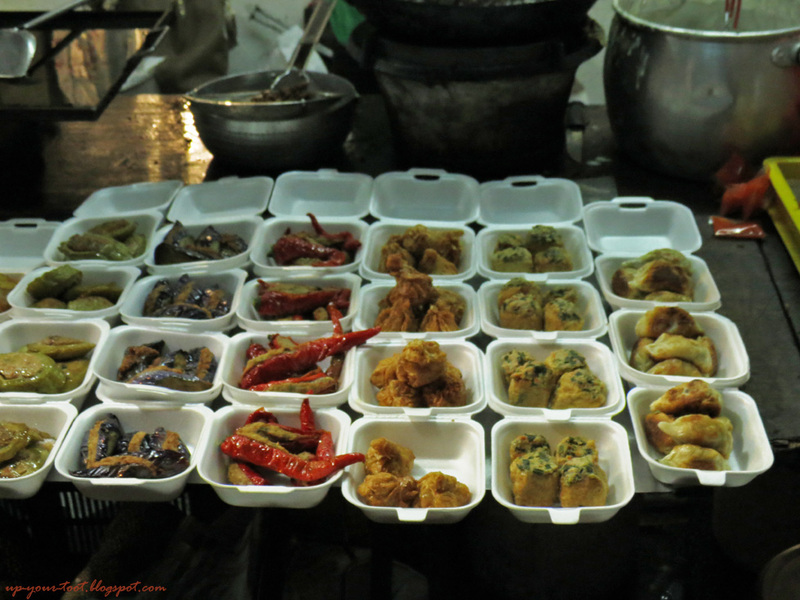 Food is everywhere, and just like the faithful, pervades every corner of the temple grounds. All nine days isn't enough to try everything edible sold here. Perhaps that is the reason why people keep coming back year after year. Stuffed vegetables, tofu and dumplings. You will never be hungry at this festival. Just don't forget to bring your wallet. Chinese chestnut - the smell of it roasting will make you want to grab some. Pictured here are raw chestnuts and a colander of washed gravel. 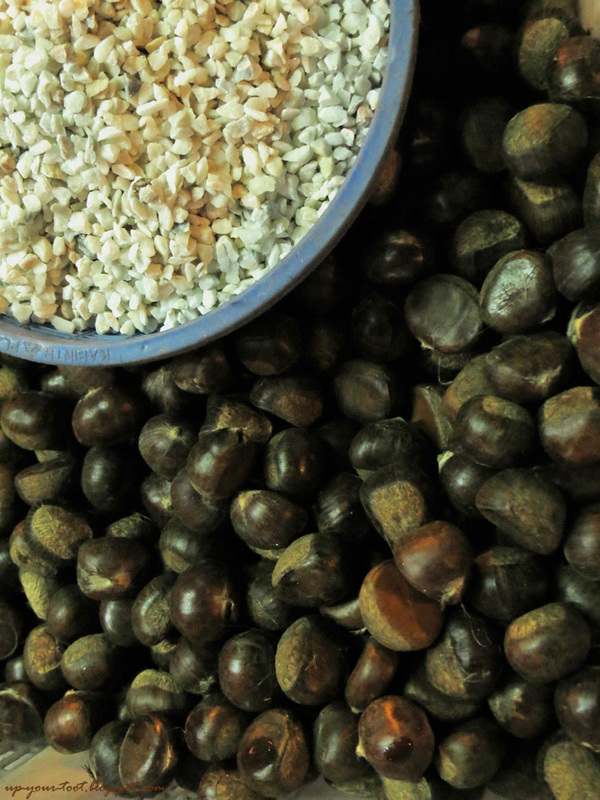 The gravel is used to transfer heat evenly to the chestnut as it is being stirred in a hot wok. Local sweet cakes that is eaten with grated coconut. A good dessert for those with a sweet tooth or wants a sugar rush. Vegetarian mix rice at the temple fair. Last but not the least is fun aspect of it. 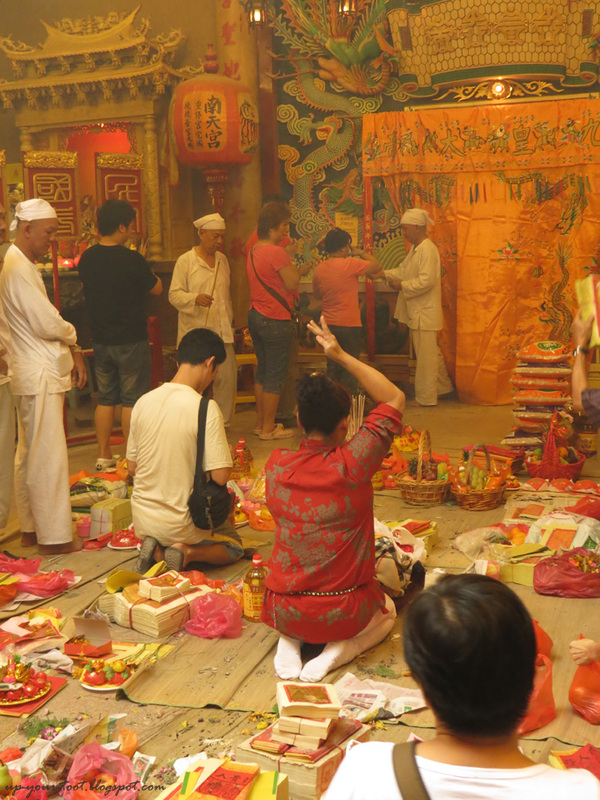 If you do come to Ampang Nan Tian Gong Temple, you will be amazed at how a simple festival becomes a healthy family outing as both the young and old gracefully matured are catered for. 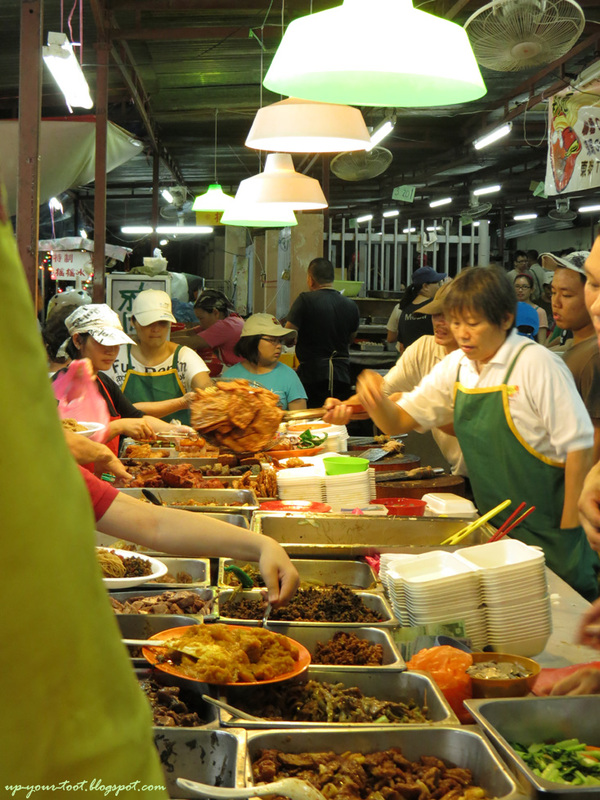 Also do not fret if you are not vegetarian, for the mock meat stuff are pretty good and there are stalls selling non-vegetarian stuff on the stretch of road fronting the Ampang Old Folks Home. 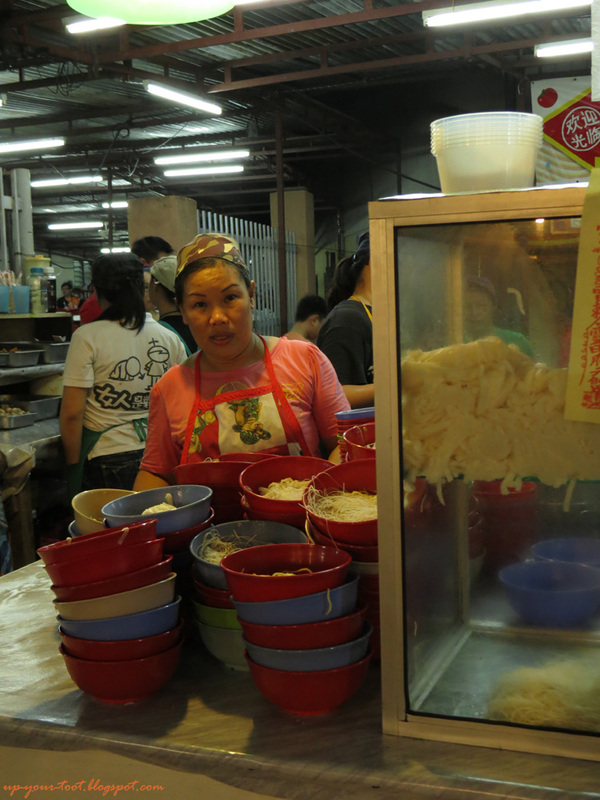 If you have not tried Ai-Yu jelly in Taiwan, here's the place where you can have a try. Playing a game of hide-and-seek with the photographer. Gotcha!!! I told her that she looks pretty in the photo, like a 16-year-old princess. If you are free on Saturday (20th October), do visit the temple in the aftertoon (1.30ish) to see the feeding of the heavenly soldiers. To see pictures of previous year's event, visit Cheryl's site here. Its interesting to see how everyday the festival progressing. Coop up in the lab this week so boring. At least I can kill time during incubations reading your post.